Vancouver Brewery Tours launched BC’s first brewery tour company in June 2013, and since then, we’ve had thousands of beer lovers from all across the globe hop on tour with us. 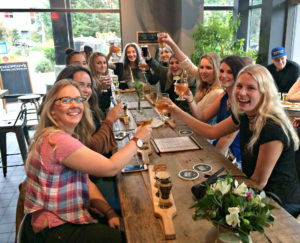 On our fun and informative brewery tours, you’ll sample your way through Vancouver’s best craft breweries, meet fellow beer lovers, chat with the brewery staff, and maybe even learn a thing or two! 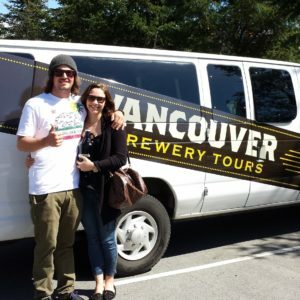 If you haven’t been on a craft beer tour, Vancouver is the place to start! These tours are perfect for couples, singles, locals, tourists, small groups or just thirsty you! Booked on a first come, first serve basis through our online calendar, Public Brewery Tours are offered year round and offered each day of the week. Whether you’re a thirsty local or a curious visitor to our beautiful city we’ve got a tour for you! Private Group Brewery Tours are perfect for groups looking for a private and customizable experience for any special occasion. These tours are perfect for birthday parties, corporate and staff parties, bachelor/bachelorette parties, client appreciation events and more. Enjoy full transportation including custom pick up and drop off options with the Vancouver Brewery Tours fleet or choose a Walking Tour of Brewery Creek or East Vancouver. Private Group Tours are available by request for any day and time of the week. You tell us what kind of beer-experience you’re looking for and we’ll make it happen!